Effective digital marketing is essentially based around the art of getting found online by the people who want to find you, rather than relying on outbound activities such as cold calling or advertising to everyone in the hope of the reaching the right people at the right time. This approach is driven content creation, utilising a number of channels such as blogging, social media and search engine optimisation (measures to improve your company’s website ranking in search results). Digital marketing methods such as these can be easily overlooked in B2B companies, and older industries such as manufacturing firms, where many companies that rely more on traditional marketing techniques like word of mouth. However, digital marketing can be highly valuable in generating new business and if done right, has a much higher ROI than traditional forms of marketing. 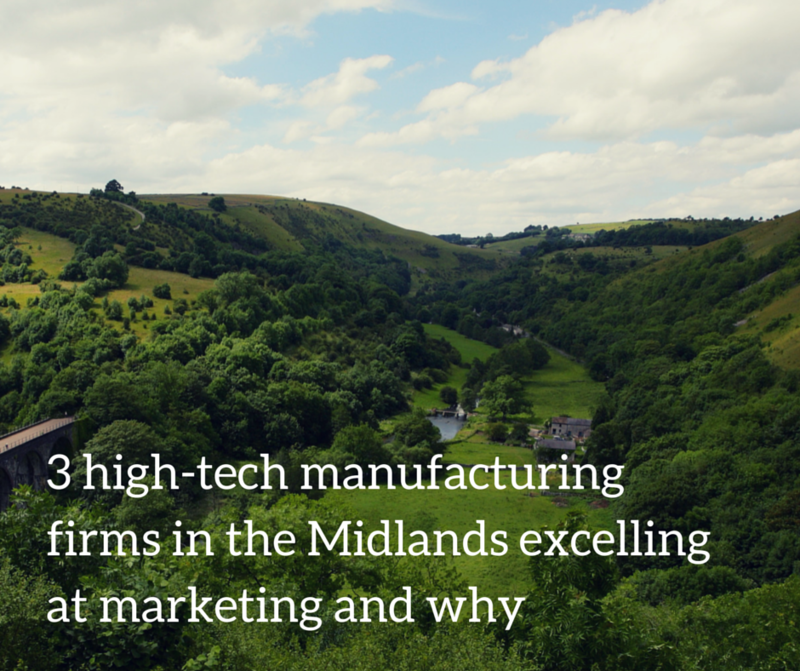 At Katapult, we compiled the Midlands Marketing Index, which indexed the top 50 high-tech manufacturing and engineering firms across the Midlands, and ranks them based on their digital marketing performance and online presence. We shortlisted 100 companies headquartered in the Midlands, with a turnover of £5m+ and ranked them based on their online presence and HubSpot marketing grade. This grade, measured on a scale from 0-100, takes into account many factors, including social media activity, mobile responsiveness, blogging activity, SEO and lead generation performance. Who made it onto the marketing podium? Here’s a sneak peek at the top 3 companies and the digital marketing tactics they’ve used to take them to the top of the chart. At #3, MacFarlane Packaging have a good all-round marketing grade. As well as performing well for SEO, they are doing a good job keeping their website, blog and social channels up to date. MacFarlane’s blogging, although sporadic, is a way in which they excel. Writing about your professional industry can be hard to do in a way that entertains and intrigues, holding the reader’s attention in a world where a lot of information is digested in 140 character chunks. Their blogging, combined with their regular social posting, has resulted in a social following and engaged audience. Another avenue where they demonstrate a high following of their content is their YouTube channel, with in excess of 40,000 views on their videos. This, combined with a high amount of indexed pages (4,850) contribute to a Moz ranking of 4.8, which is a good yield for a company in the manufacturing and engineering sector. At #2, Derby-based Mirage Machines demonstrate strength in website conversion optimisation (website design specifically intended to drive prospects to become customers). Blogging is a weekly action, and they include CTAs placed on the blog to signpost readers to relevant offers such as buyers’ guides and case studies. In addition, all landing pages adhere to landing page best practices. This ensures that if people want the premium downloadable content, they will do so by submitting their details, which can then be used for lead nurturing emails, and where appropriate, phone calls. In addition to the conversion optimisation, the Mirage website is clean and well laid out with easy access to their downloadable and shareable content, which covers in depth the products and services they offer. At #1, Warwick-based boiler manufacturer Baxi have created a series of high quality how-to videos, hosted on their YouTube channel, which generate traffic and increases trust as a knowledgeable and faithful brand: The top 2 videos on their YouTube channel have nearly half a million views between them, and well over a quarter of a million views are spread over the remaining catalogue. This has a knock on of increased social shares, and therefore brand awareness being spread with positive social proofing. They have a high number of followers and fans on their social media channels, which demonstrates that giving out free content can be worth the initial outlay. In addition, the Baxi homepage contains CTAs (Calls-to-action) for their flagship model, catalogue (find a boiler tool), and their find an installer tool. Design-wise the website uses a generous amount of whitespace which helps to make the CTAs stand out and makes it a simpler and more enjoyable experience for the visitor. So in summary, through the videos and social traffic, Baxi drive people to the site (attract), and use action-based language to drive people to find a new product, or get in touch with the team, driving the prospect further down the sales funnel. It’s easy to think that digital marketing isn’t as vital in the engineering and manufacturing industries, but the companies in this report show that manufacturing marketing can be highly fruitful when done well. It can also be seen that there are a number of different ways to excel with your marketing online, be it through video, social media, blogging or other types of content. With these, you can implement a successful digital strategy. The people you are looking to attract, the decision makers in industry, are gradually relying more on the internet, and their mobile phones, to research and aid in those big decisions. Utilising inbound marketing techniques will bring you closer to your ideal customers, potentially for a significantly lower cost. The longer you leave it, the more you’ll be playing catch up when you start. Don’t let your competitors get the edge. Act now.